And one of the most prestigious. I am not 100% sure, but I don't think is was ever sold in the US. 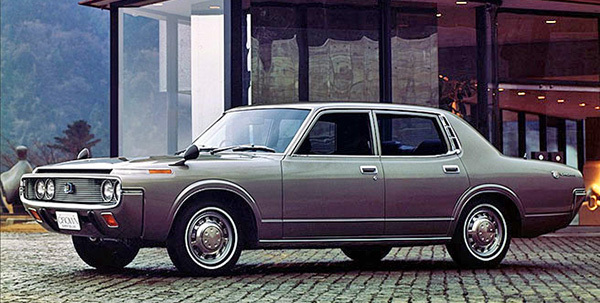 We had the Cressida as our top of the line Toyota.Which was replaced by the Avalon. 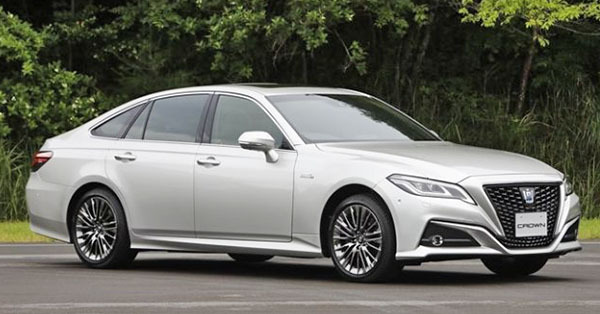 We do have the Crown's platform cousin, the Lexus GS. But not for long since the new ES will replace both the "Current" ES and the GS. This new model is the 15th generation. And maybe the worst looking of them all. Toyota's new design manages to be both super boring and quite repulsive at the same time. The horrific front end looks like a bad Chinese copy of a Lexus. While the whole thing looks like it came out 15 years ago. Worse, there isn't a feeling of luxury at all. It looks like an inexpensive sedan. This is my favorite Crown design. The 4th generation from the early 70's. Wow, Toyota can actually create a sedan uglier than the Avalon. Lost that bet! The front end looks like it's melting. The car looks a Jaguar in the front and a Mercedes in the back. The overall shape is fairly anonymous, but it is proportioned okay. 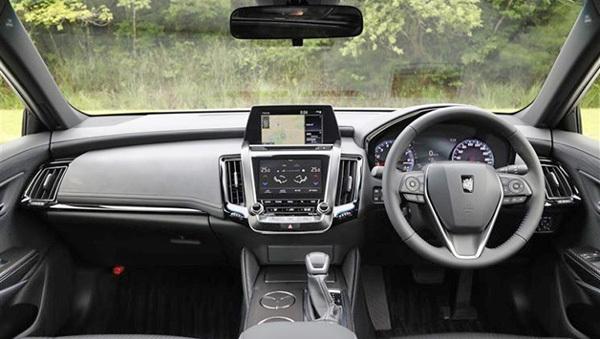 The front end definitely needs a restyling, though. I have seen much uglier cars than this. Wow I didn't know the Lexus GS was being dropped. Does this mean the new ES will be more performance oriented? What 3:11 PM said. I've seen a lot worse. BTW, what's with the stupid mail slot above the grill surround in the 4th gen? Is is real, fake? Pretty ugly. If Toyota went away tomorrow, it would be a good thing. They no longer build the best cars. And the visual assault on our eyes is unforgivable. Talk about design theft! They just ripped the 2019 Altima front and slapped on it. Then they proceed to the current 2018 Altima and sticked it on the rear with a flat trunck! Stunning, has there no more creative brain cells left in the heads of the designers?!? !